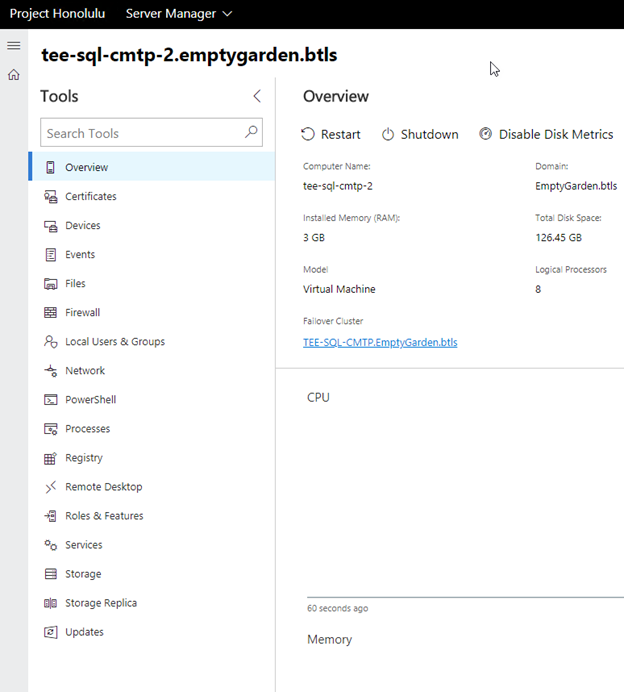 Have you heard of Windows Admin Center? No? You certainly have heard of Server Manager. Well, think of Server Manager and then think more. Then think about easily connecting to remote machines to do more. You can install it on your local machine in ‘Desktop Mode’ or install it on a server in ‘Gateway Mode’. Both manage servers via PowerShell and WMI over WinRM. If running in Gateway Mode the server that it is running on needs to be trusted for Kerberos delegation. Installing desktop mode simply means you are installing the application on a workstation device. 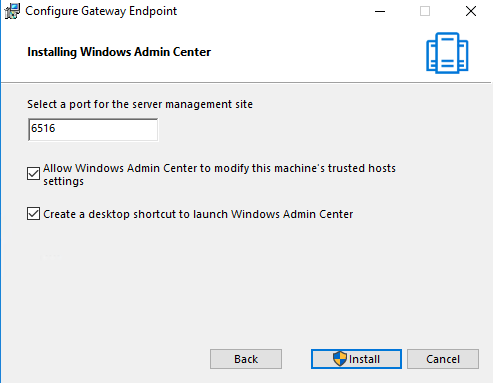 Installing Windows Admin Center in Desktop Mode is as simple as double clicking on the installer and selecting a port. You can now add servers manually or through a text file. One of the downfalls of ‘Desktop Mode’ is that it uses the current user’s credentials. You can certainly change them, but they won’t be saved the next time Windows Admin Center is opened. Installing gateway mode simply means you are installing the application on a server. Installing it in Gateway Mode requires a bit more configuration. The first thing you will need is a Web Server certificate. 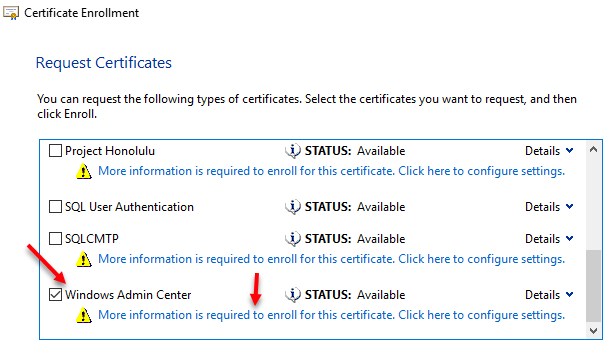 Unless you want to use the self signed cert that Windows Admin Center creates….which expires in 90 days. 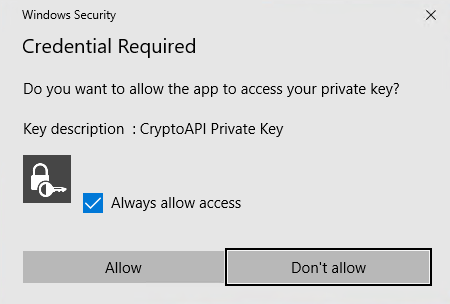 So, use PKI instead! 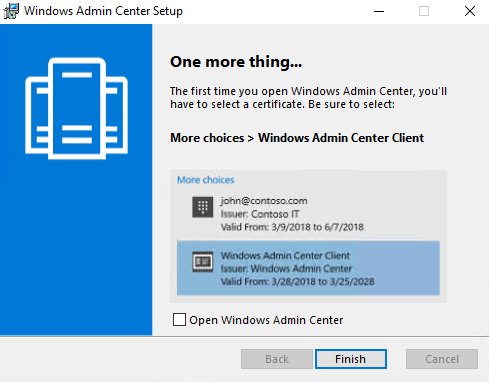 Make a copy of the Web Server cert and give the Windows Admin Center server enroll permissions. Provide a friendly name and enroll the cert. 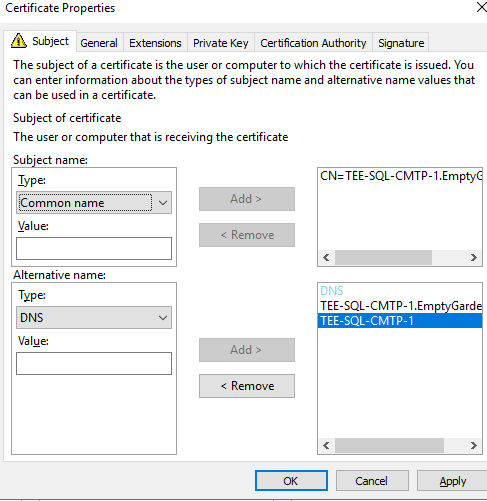 Select a port and paste the thumbprint of the cert you just created. 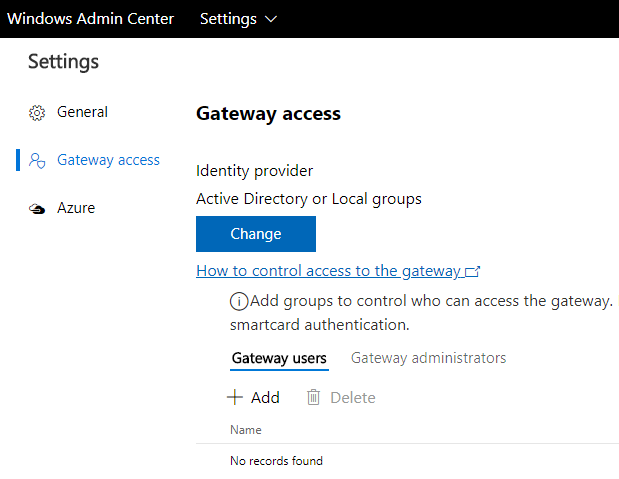 You can now browse to Windows Admin Center using either the FQDN or the NetBIOS name of the Windows Admin Center Gateway Server. Launch a browser that isn’t IE and navigate to the Windows Admin Center web site. Import machines and see what you can do! You can even publish the app to Azure.